HELP SUPPORT THE WWW.TAX-FREEEDOM.COM WEBSITE ! HELP US TEACH THE TRUTH TO ALL AMERICA, AND CHANGE THE FUTURE FOR THE BETTER WHILE EARNING MONEY, BY SIMPLY REFERRING PEOPLE TO THE WEB-SITE. 1) The TAX-FREEDOM CD-Rom, with all the amazing R-Safe legal tax avoidance products, affidavits, letters, lawsuit examples, etc., and more. 3) $50 commission payments paid for every new member who joins the Disciples under your Membership No. (through your referral to the web site) ! 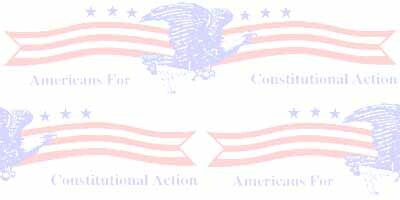 4) $25 commission payments paid (to the referring member) for sales of just the Tax-Freedom CD-Rom under a referring Membership Id No. 5) Steep volume discounts on the TAX-FREEDOM CD-ROM, for you to resell (if you wish to sell directly). 6) A free "starter" one-page website (like this one) (and as described at the bottom of this page) in the www.america.moreprofits.com domain area for your personal use, and to assist you in recruiting and earning commissions. Please BE SURE TO PROVIDE YOUR REFERRING MEMBER'S ID. NUMBER IF THERE IS ONE. CALL or FAX us for more information. OR, JOIN ON THE DISCIPLES ON THE LAY-AWAY PLAN - JUST SEND $25 AND I WILL SEND YOU THE BUSINESS CARDS TO START DISTRIBUTING. 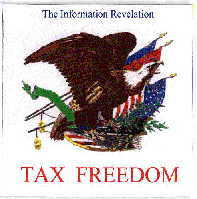 AFTER TWO PEOPLE JOIN UNDER YOUR REFERRING ID NUMBER (OR FOUR CD-ROM SALES ARE REFERRED),I WILL SHIP THE TAX-FREEDOM CD-ROM TO YOU, AND AFTER FOUR PEOPLE HAVE JOINED (OR 8 CD SALES, (OR ANY COMBINATION OF THE TWO)) UNDER YOUR REFERRING ID NUMBER, I WILL PAY YOU $50 PER NEW MEMBER, AND $25 PER CD-ROM, AS SALES COMMISSIONS FROM THAT POINT FORWARD. PLEASE TELL AS MANY PEOPLE AS YOU CAN ABOUT OUR EXISTENCE !! LIKE THE SWORD OF DAMOCLES THE TRUTH REVEALED IN THIS WEBSITE HANGS OVER THE HEAD OF THE IRS WAITING TO DROP ! HOW LONG WILL IT TAKE FOR ENOUGH MEN TO TAKE HOLD OF THIS SWORD TO COLLECTIVELY SEVER THE HEAD OF THE BEAST ! - 250 Megabytes for $49.95 per month - NO SETUP FEES ! - your address will be: "www.america.moreprofits.com/your-id-no"